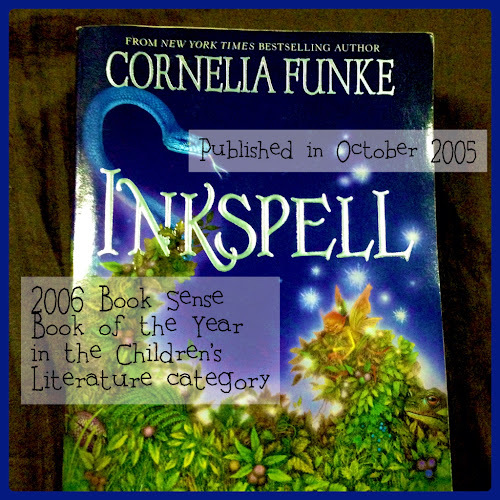 InkSpell is the second book in a trilogy, following InkHeart. It took me over two years before reading the second book so some details from InkSpell were already vague to me. As I flipped through the pages, details started coming back and I was re-acquainted with the magical world crafted by Funke. I loved it. A year passes since the end of the first story before the second one starts. Meggie and her parents live in the mansion of her book-loving Aunt Elinor, and she still continues to fantasize about the world where Dustfinger came from. Her mother gladly tells her about the magical place, while her father would have nothing to do with it. While Meggie had her happy family, Dustfinger continued to travel with his apprentice Farid, finding a way to get back to his story. He found a reader who would do it for a fee, but it turns out that he was conniving with the evil Basta and Magpie, mother of the late Capricorn. Dustfinger successfully re-enters InkWorld. Farid having learned of the evil plot was horrified for his mentor. He would not accept being left behind in this world. To him, his place was beside Dustfinger. He sought out Meggie, knowing that she was possibly the only one who could use the words weaved by Orpheus to send Farid over to the other world. His longing to rescue the fire eater leads them to a big adventure. Meggie could not pass up the chance to visit the world she's been fascinated with. She read herself into the story too, a feat not even the talented Orpheus could do. Every step in the forest, she would recall details from the book, or from stories shared by her mother, who was trapped there for 10 years. In InkWorld, it didn't take them long to find the fire eater and Fenoglio too, the author of the book who was now living in the story as a poet. There were new characters to meet as well. It was as if InkWorld truly had a life of its own beyond the words in the published book. And that was what troubled its creator. Sadly, Fenoglio just couldn't live as a spectator in the world he considered as his own making. He had it in his head to manipulate the story from within, and with Meggie by his side he had found a way to make it happen. To make matters worse, the Magpie and Basta retrace their steps to Elinor's house. With Orpheus as their ally, they are sent back to InkWorld, bringing Mo and Resa with them, intending to finish them off. With our main characters now in the volatile world made from Ink, anything could and did go wrong. There is a sad twist in this story, one that I haven't fully accepted yet. But if there was a lesson to be learned, it's that you can't bring back the dead, and meddling with other people's stories lead to no good. I hope it doesn't take me another two years before getting to the final book in this trilogy, InkDeath.